I have loved Spider-Man since I was six. While I found comic book icons, like Batman, Superman, and X-Men, etc., primarily through their animated offerings, Spider-Man was one of the few I discovered through a pretty even mixture of the comics and animated series. I still have some of my old Herbie Morrow comics, one of which included a team-up with Iceman. But it was the 1994 animated series I remember the most; from the theme song to Christopher Daniel Barnes’ iconic voice performance, the Spider-Man and Mary Jane of the show were my versions of the characters. When I found out they were making a live-action Spider-Man film, I was very excited. I walked out of the theater relieved that director Sam Raimi had captured the spirit of what made Stan Lee and Steve Ditko’s beloved creation so great. When the time came to see Spider-Man 2, I don’t think I had ever been so excited for a film since, well, its predecessor. Aside from a great performance by Alfred Molina, I was so excited to see that Peter and Mary Jane’s relationship had an interesting new dynamic by the end that should’ve made for a great third film. Unfortunately, that didn’t come to pass, and what could’ve been a great finale turned into a lackluster film that took what were my favorite episodes in the animated series and turned them into a lazy plot device that ultimately left Mary Jane and Peter in a rather dour place. I had been hoping that the fourth film would wrap up this iteration of the franchise on a high note. When the reboot was announced, I felt a mixture of excitement and sadness. 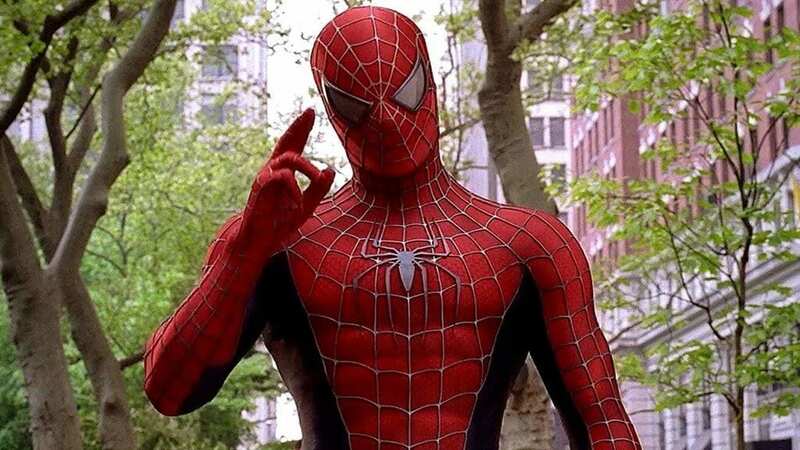 I loved Maguire in the role and, having watched the original films over and over since I was 12, I had been excited to see a direct continuation of the franchise, particularly when I heard Maguire had signed a deal to do both Spider-Man 4 and 5 for 50 million dollars. The idea of a reboot presented all new possibilities, especially considering rumors that the film was going to be based in part on the Ultimate Spider-Man comic book line, something that was more or less confirmed when series writer Brian Michael Bendis announced he was meeting with the Spidey movie team. On top of all that, the last superhero reboot I had experienced was Batman Begins, which ended up being (and still is) my favorite superhero film of all time, so I had high hopes for this new James Vanderbilt-penned iteration of Spider-Man. But when the Marc Webb-directed film made less money than all three of its predecessors, I wondered about Spidey’s future on the big screen. Don’t get me wrong; I loved Andrew Garfield and Emma Stone (particularly the former, who I still believe is the best Spider-Man we’ve ever had). But, ultimately, money talks and all eyes were on the sequel, which was the studio’s first attempt at a Spider-Man cinematic universe with some pundits speculating the film needed to make 1 billion dollars to set this new shared universe off right. While I didn’t love The Amazing Spider-Man 2, I had hoped to see more of Andrew Garfield as the old webhead. Unfortunately, thanks to a combination of bad reviews and falling box office, this burgeoning multi-series franchise was, and Garfield was fired from the role. Once the end of the Amazing Spider-Man era was official, fans demanded that the rights be given back to Marvel, who, at that time, was in the beginning stages of developing Captain America: Civil War. As it turned out, that was exactly what both Sony and Marvel had in mind. In what could only be described as a historic partnership between the two studios, Sony and Marvel would share the character, and the former would finally move forward on the Venom spinoff that had been rumored since the character’s cinematic debut in Spider-Man 3. Even though I wasn’t thrilled Garfield was no longer playing the character, I loved Tom Holland when he debuted in Civil War, especially his rapport with MCU progenitor Tony Stark. Then, when the new Spider-Man film, aptly titled Spider-Man: Homecoming, came out and was a resounding success, I was excited, particularly because it showed what can be done when studios come together for the good of character and narrative. Add to that the fact that the one true Batman, Michael Keaton, was playing the villainous Vulture (a role that had been earmarked for John Malkovich during Raimi’s tenure), and you had a recipe for success. Once again all eyes were on the Spider-Man sequel, this time for very different reasons. Spider-Man: Far From Home will serve as our first look at a post-Endgame MCU. While I’m just as curious as everyone else, the trailer made me happy that the movie looked as though it would be far more of a Spider-Man film than a “Spider-Man in the MCU” movie. Having Nick Fury and Happy Hogan back is great, and I can’t help but want more of the 90s Spider-Man cartoon, something that I feel having Mysterio (played by almost-Peter-Parker Jake Gyllenhaal) will provide. Although I have apprehensions about Spider-Man being a world traveler instead of a friendly neighborhood Spider-Man, I can’t deny I’m intrigued by the idea of our favorite wall-crawler going on an international mission for SHIELD. I just hope they let Spider-Man be Spider-Man rather than being obsessed with the Avengers. Ultimately, Spider-Man: Far From Home is shaping up to be a great addition to the character’s cinematic legacy. From the animated series to Homecoming and beyond, the story of the old webhead has proven to be one that can survive whatever context in which the filmmakers put him. When you add in MCU stalwart Nick Fury, there’s an opportunity to take the character in a direction he has never gone before during one of his big solo outings. I can’t wait to see what kind of web Marvel and Sony have spun when the film opens on July 5.